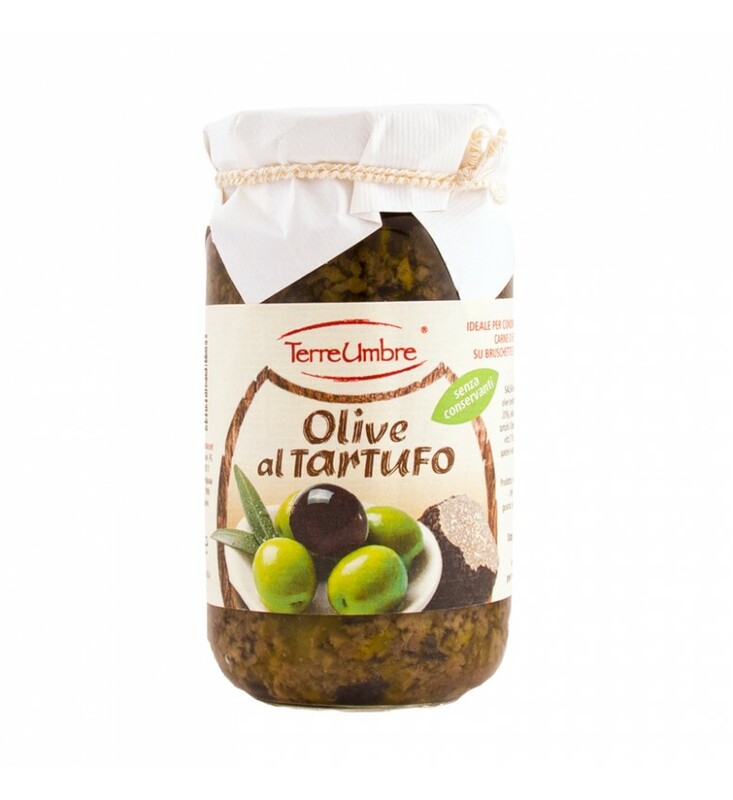 Ingredients: olives (green 80%, black olives 20%), sunflower oil, truffle 1%, salt, garlic, spices and herbs. After opening store in the fridge for up to 7 days. Our sauces are preservative free. Ideal for bruschetta and sandwiches are also excellent for pasta or meat flavor.